This project was about creating a holiday paradise for our clients. Here a beautiful swimming pool is butted up against the side of the family home. The pool is the focal point asyou can see it from every aspect form the front of the family home. 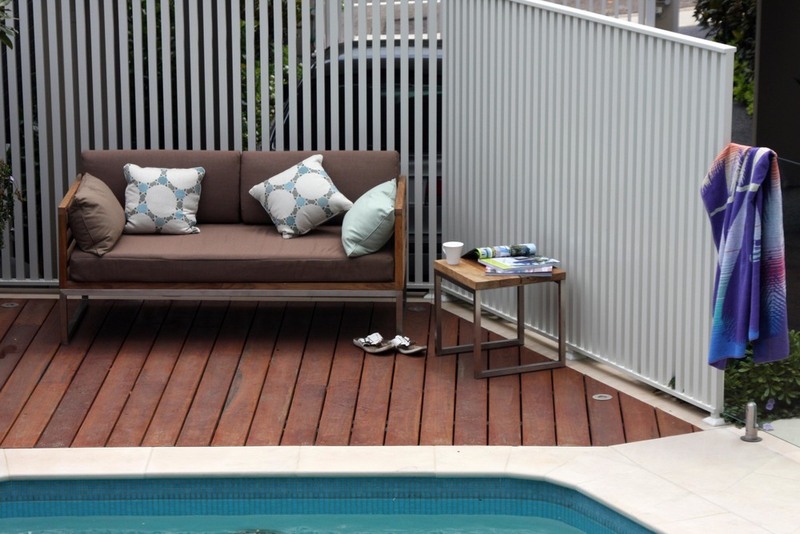 Small timber deck for relaxing and enjoying the kids in the pool with privacy screens to block out the carport. Simple yet enticing and functional!